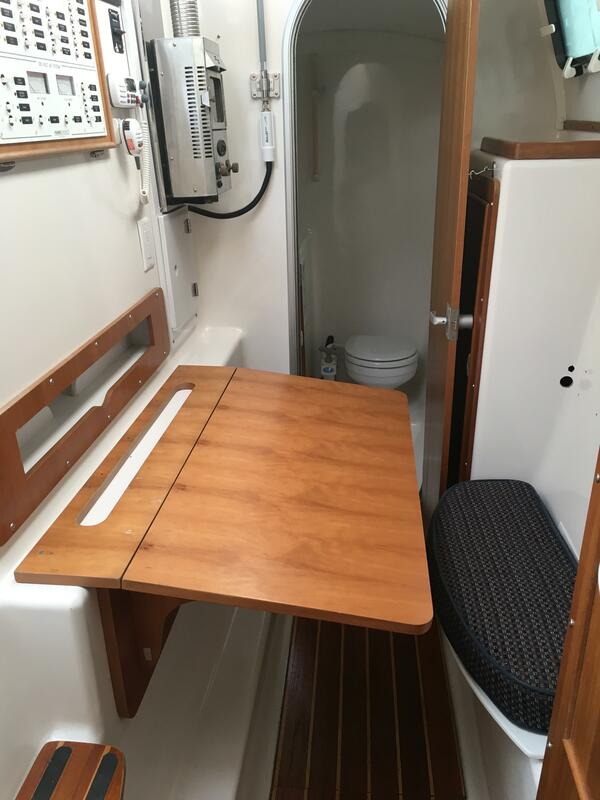 The PDQ 32 offers tremendous speed and sleek design, easy singlehanded sailing, enough room for two couples and the kids, and PDQ engineering that puts safety first. 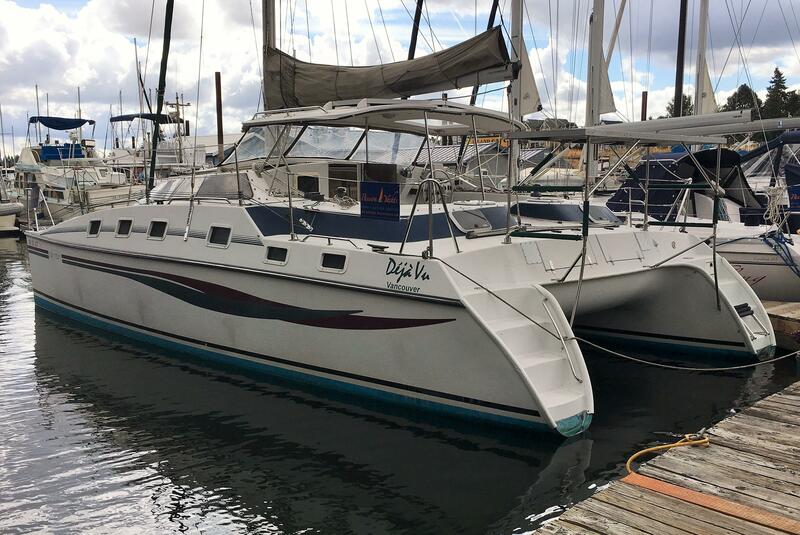 If you’re considering a cruising catamaran, or just learning about different hull types, take a look at Deja Vu, with its 2017 low-hours Yamaha outboards and dialed-in sail rig. 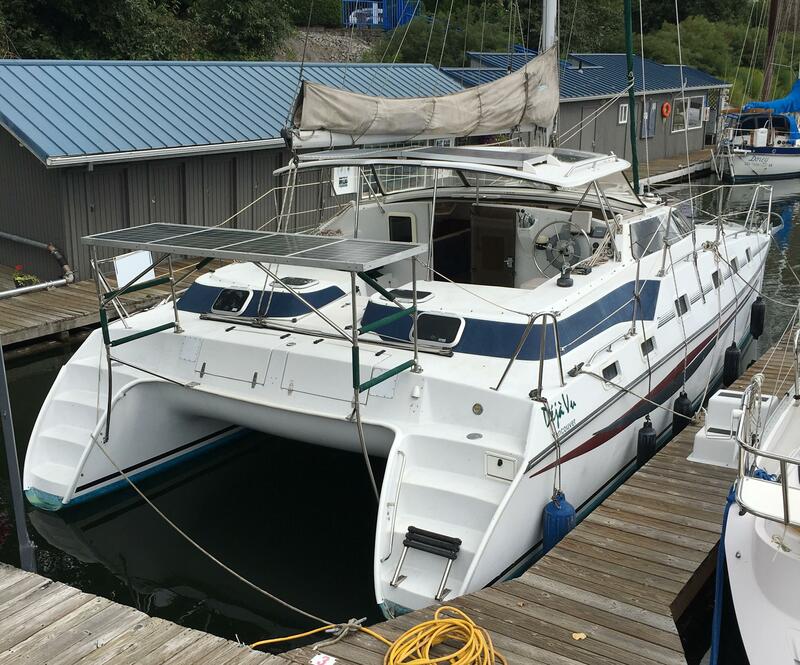 She’s just back from cruising San Juan and Gulf Islands, and ready to go again! 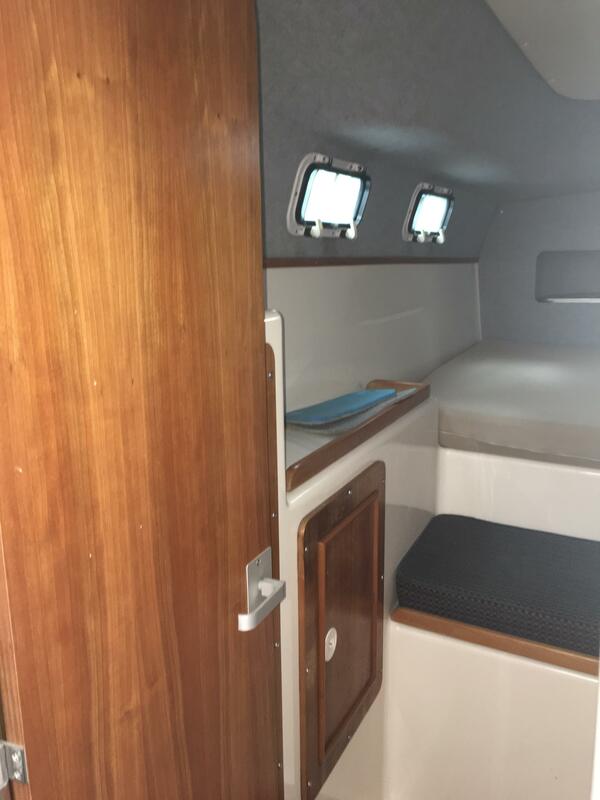 The PDQ 32 offers tremendous speed and sleek design, easy singlehanded sailing, enough room for two couples and the kids, and PDQ engineering that puts safety first. 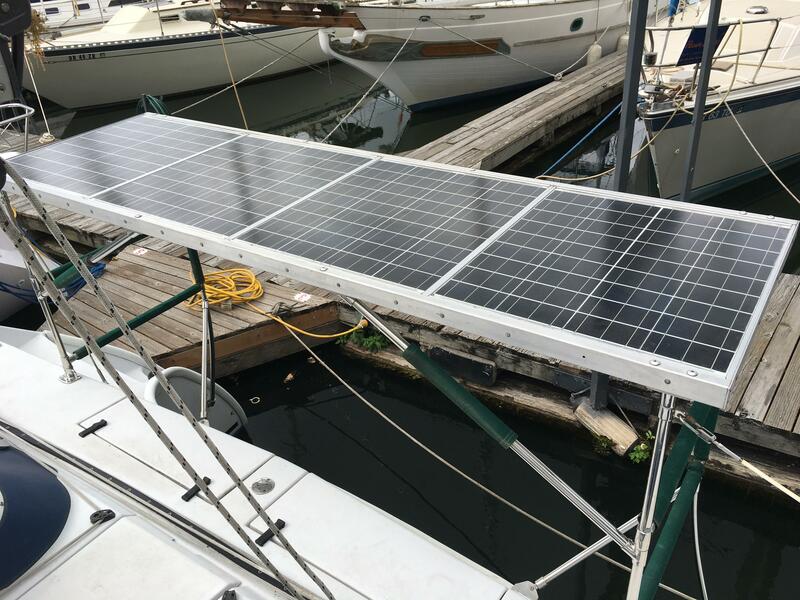 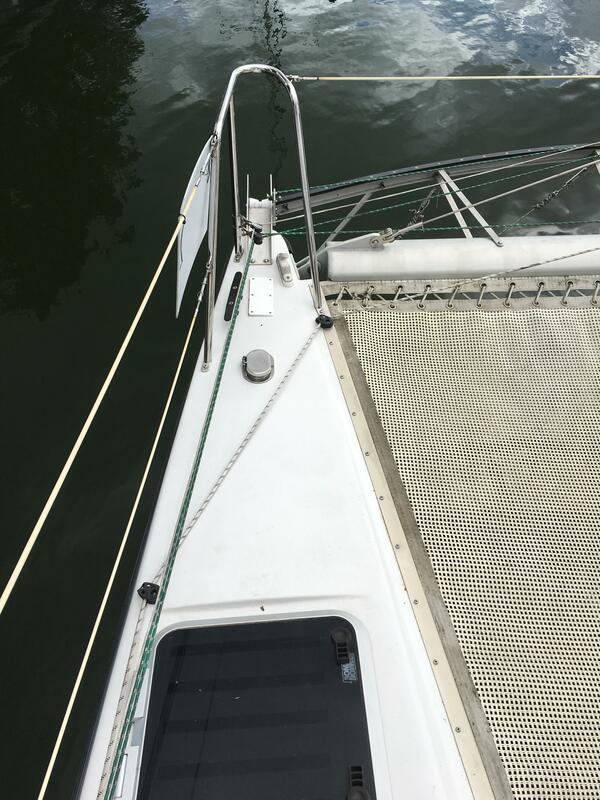 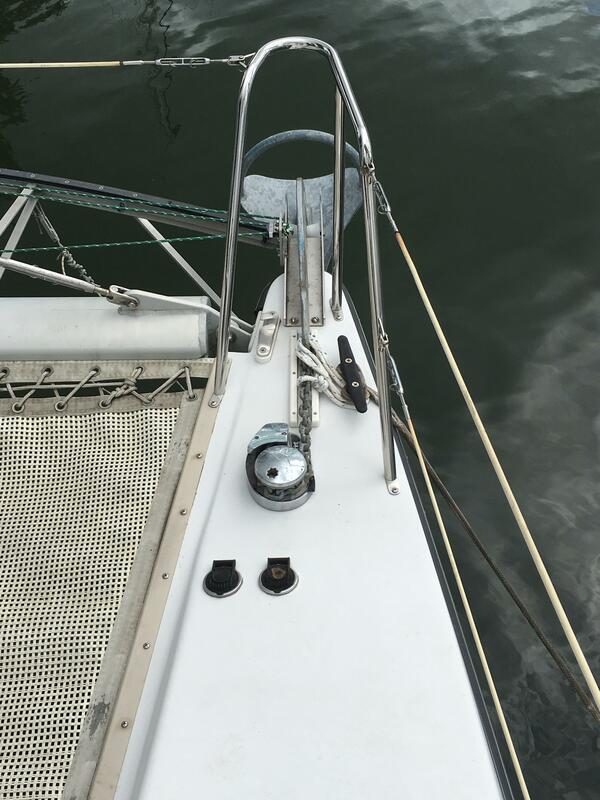 Built of acrylic-modified epoxy resin and vacuum-bagged for strength and structural integrity, the PDQ 32 is made for sailing anywhere in any weather - with a near absence of heeling. 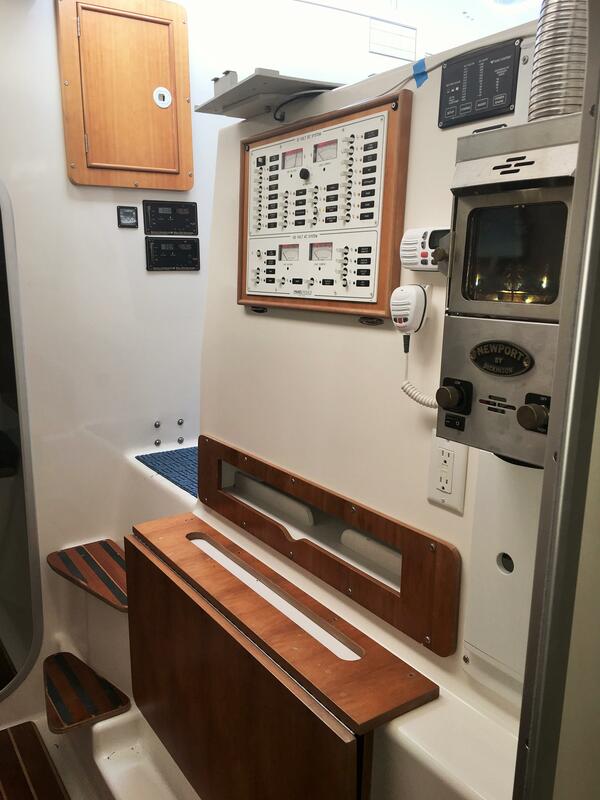 Quite simply, she represents the cutting edge of nautical design and high-tech craftsmanship. 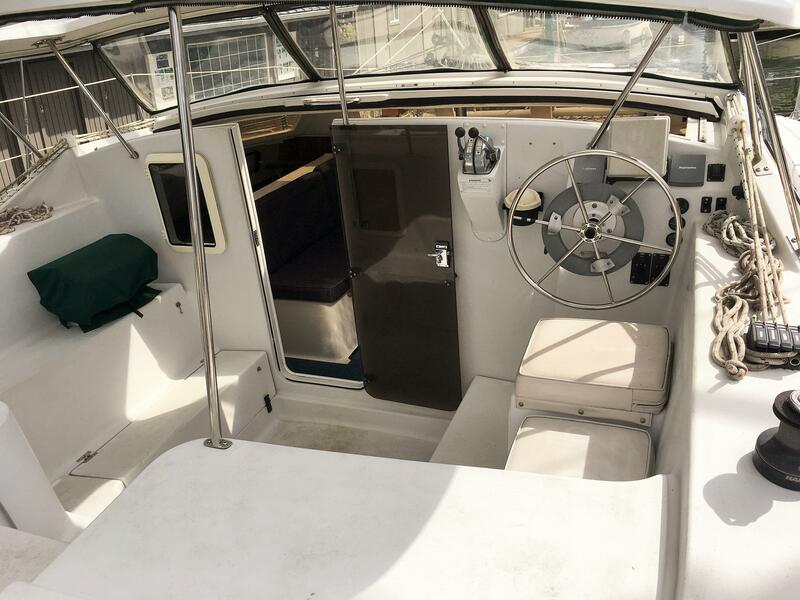 Featuring a unique center-cockpit layout, she is both comfortable and practical with interior space equivalent to a 40-foot monohull. 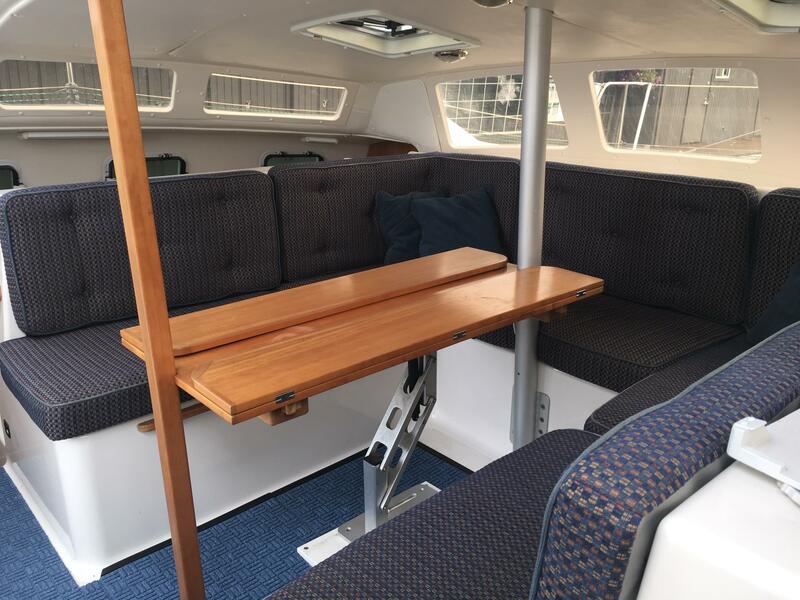 Luxury is evident throughout: hand-crafted cherry wood, the best hardware and tasteful fabric selections. 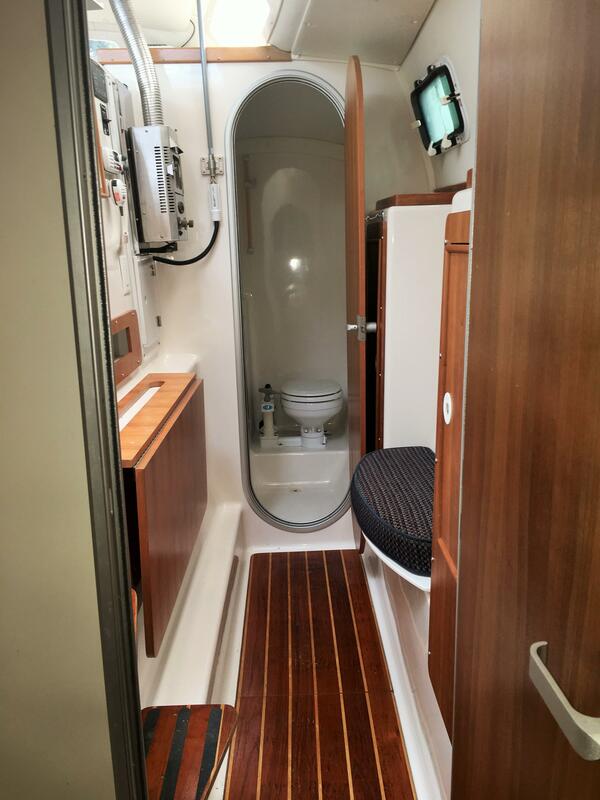 Two spacious owner cabins each feature double-berths with reading lights, four hanging lockers, clothing drawers and a vanity with upholstered seat. 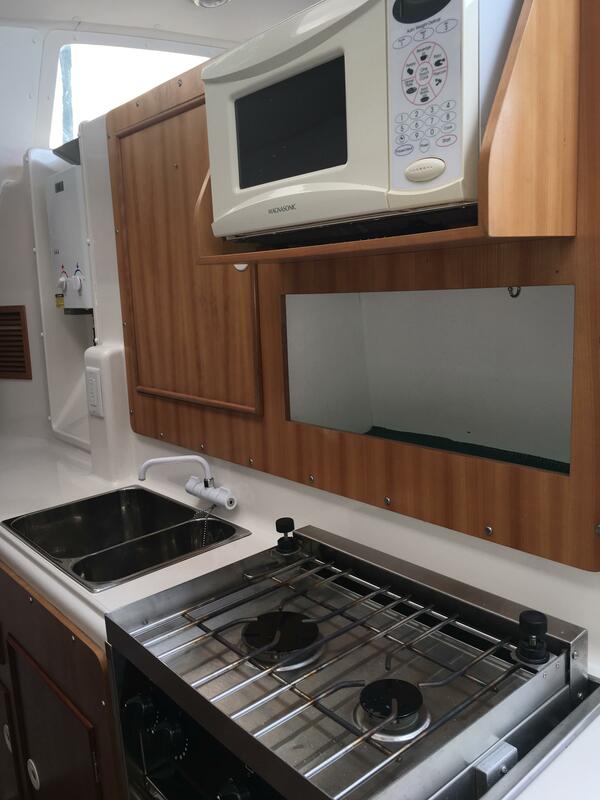 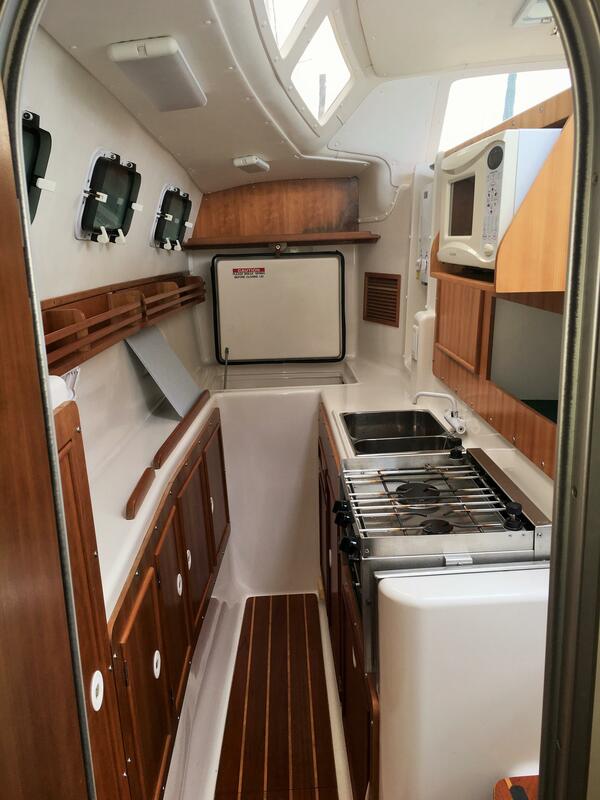 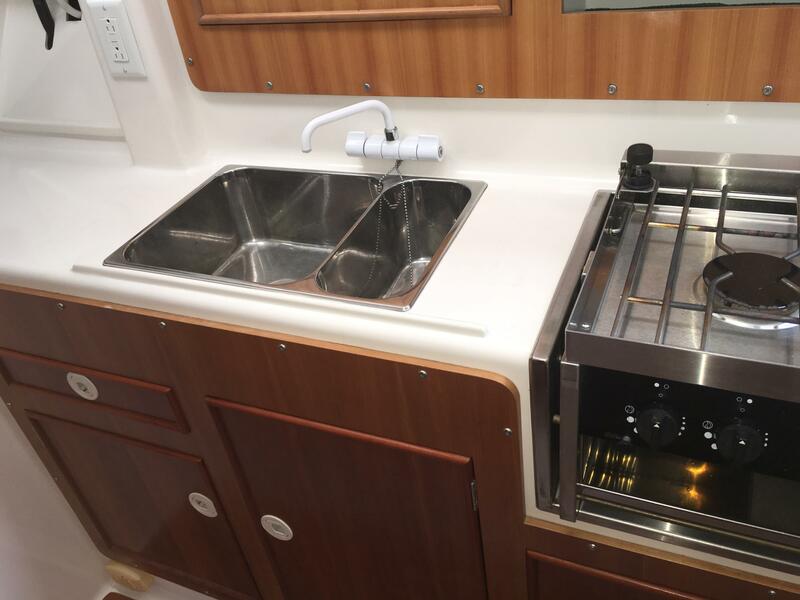 Then there's the galley, equipped with refrigeration, two-burner stove, double sink, cutting boards and abundant stowage above and below the countertops. 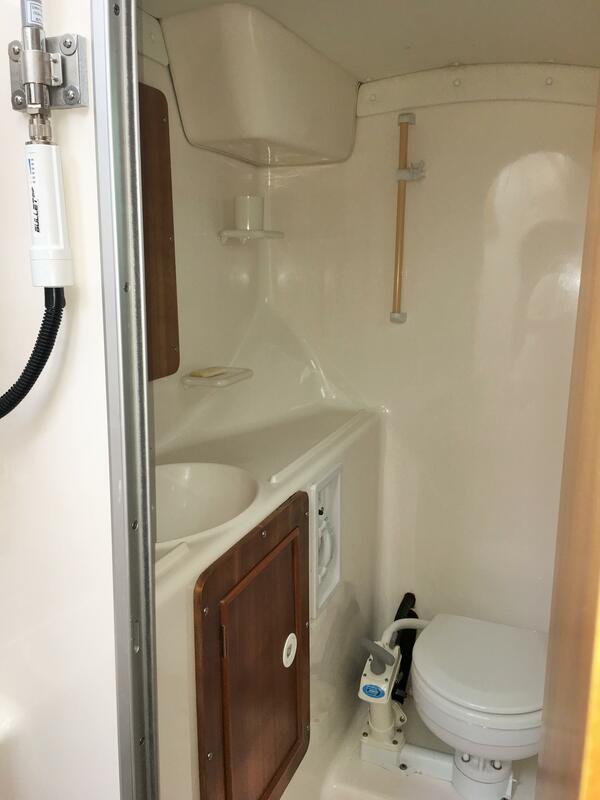 The deluxe head with shower is totally washable. 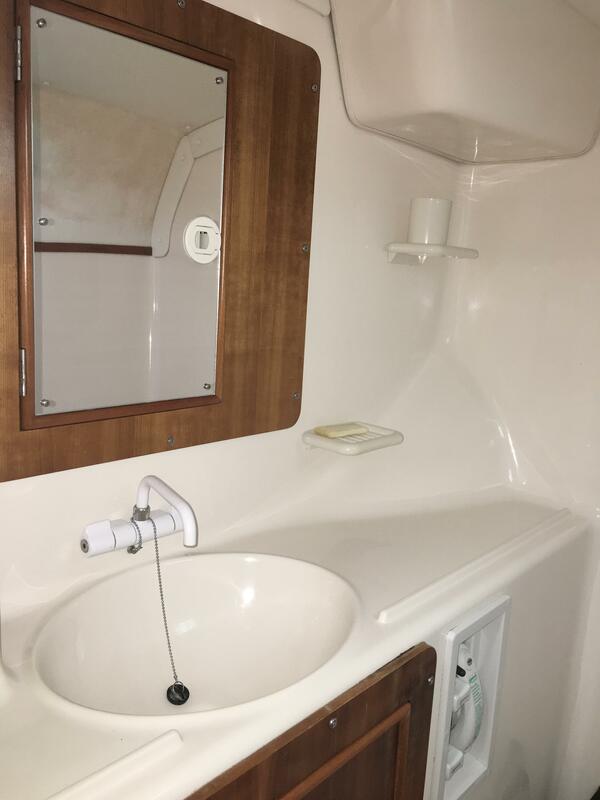 The vanity sink, cherry medicine cabinet with mirror, opening port and extra storage all combine to make a bright, modern facility. 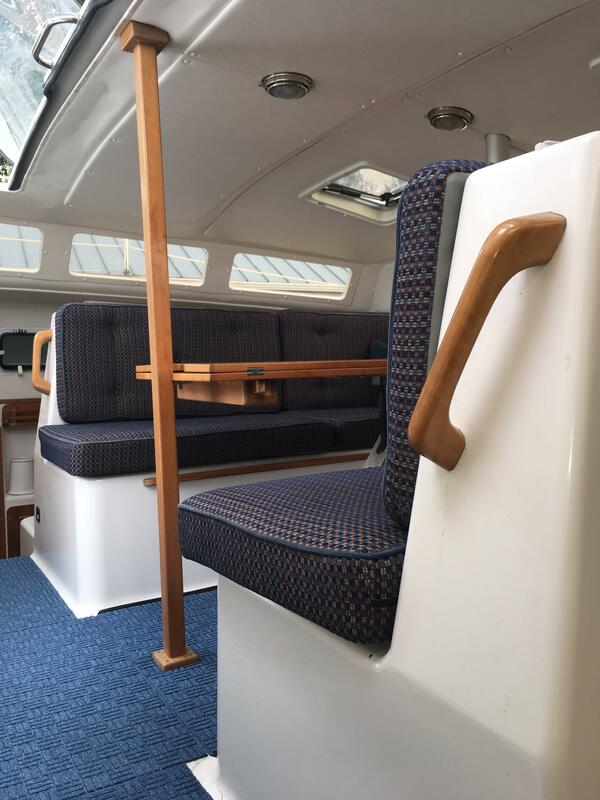 In the main saloon a panoramic window affords a beautiful dinner setting for up to eight guests. 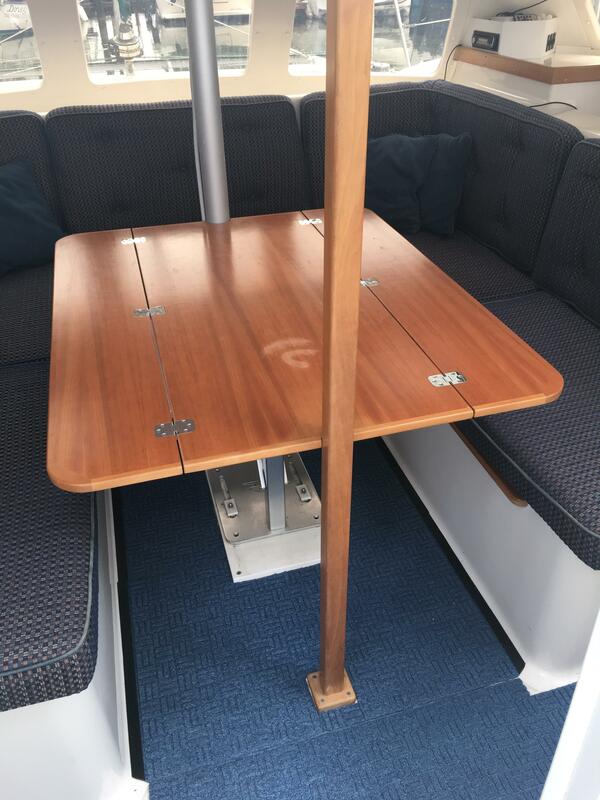 Extra-large side ports open for plenty of ventilation, and the cherry wood table converts to a useful double bed. 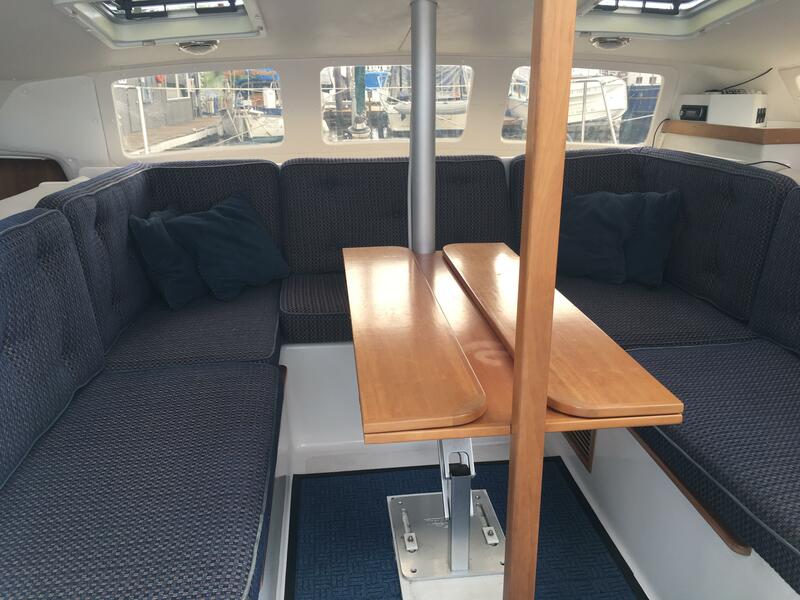 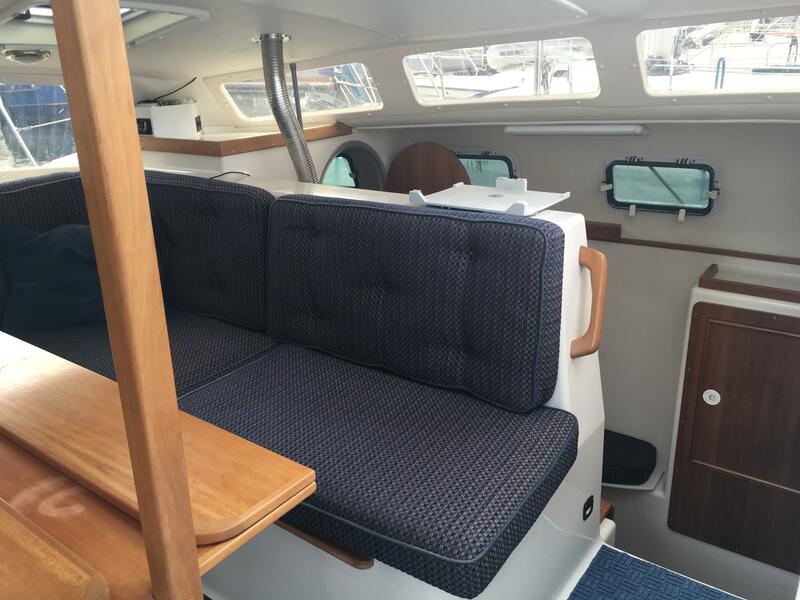 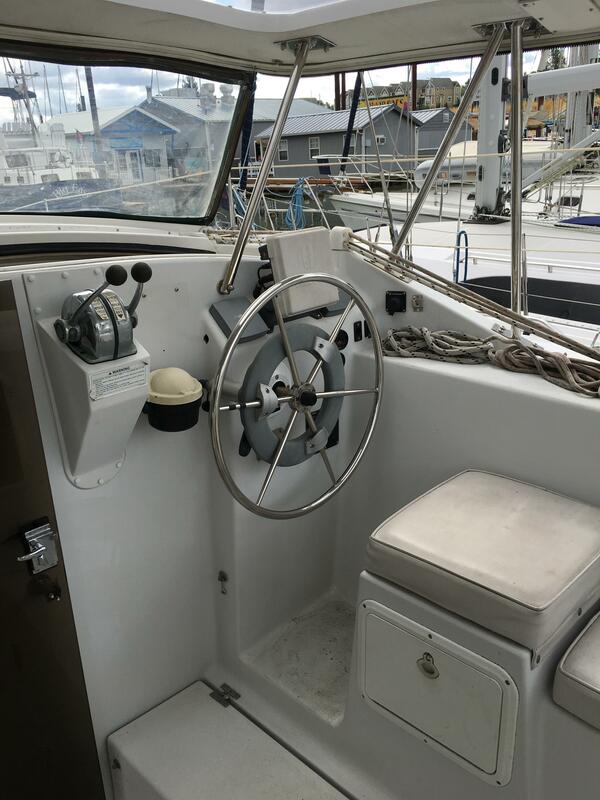 To starboard, a functional nav station, with upholstered pilot seat, is designed for the modern skipper. 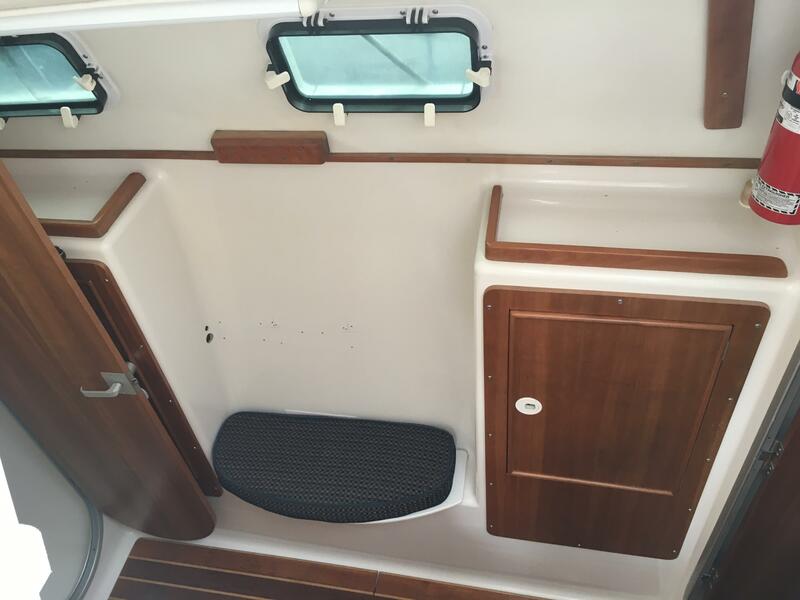 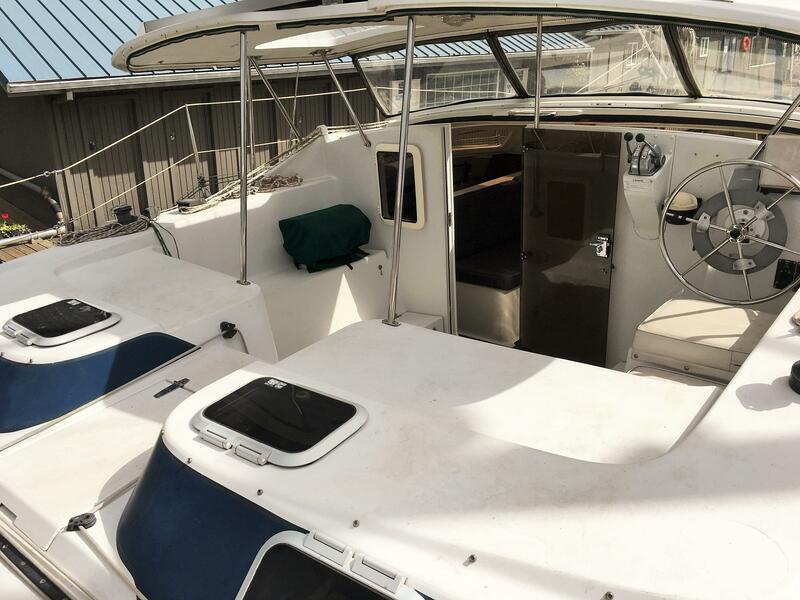 The PDQ 32 comes in both Classic and Long Range Cruiser (LRC) models. 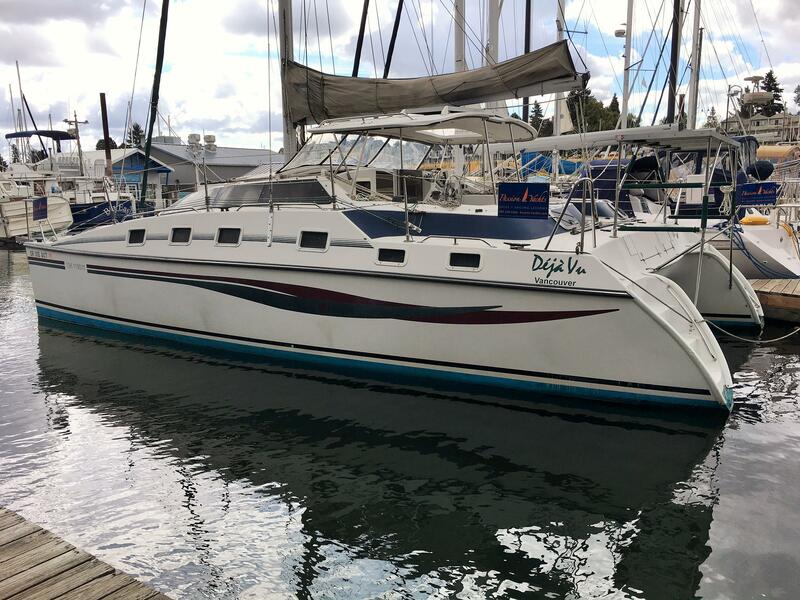 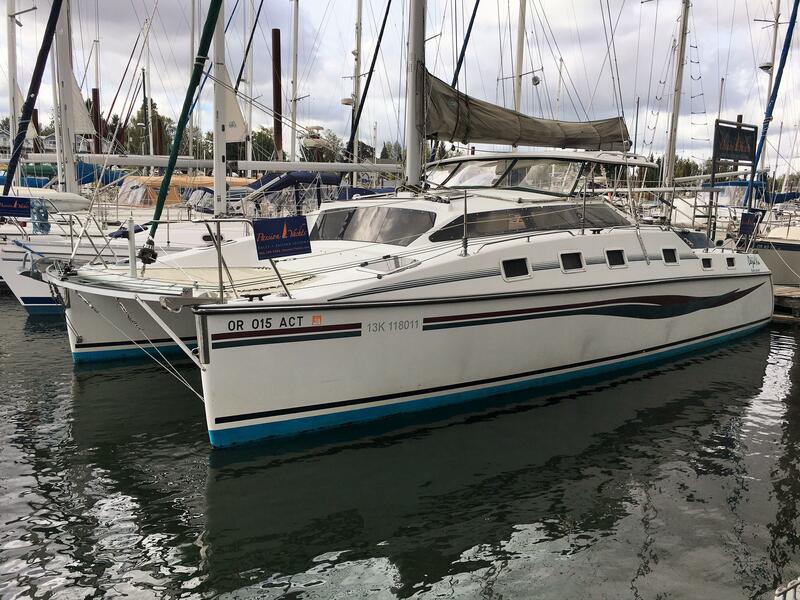 The Classic (Deja Vu is the Classic) is designed with twin four-cycle retractable engines, self-tacking jib system, a fully-battened mainsail with single-line reefing system, Harken self-tailing winches and deck hardware. 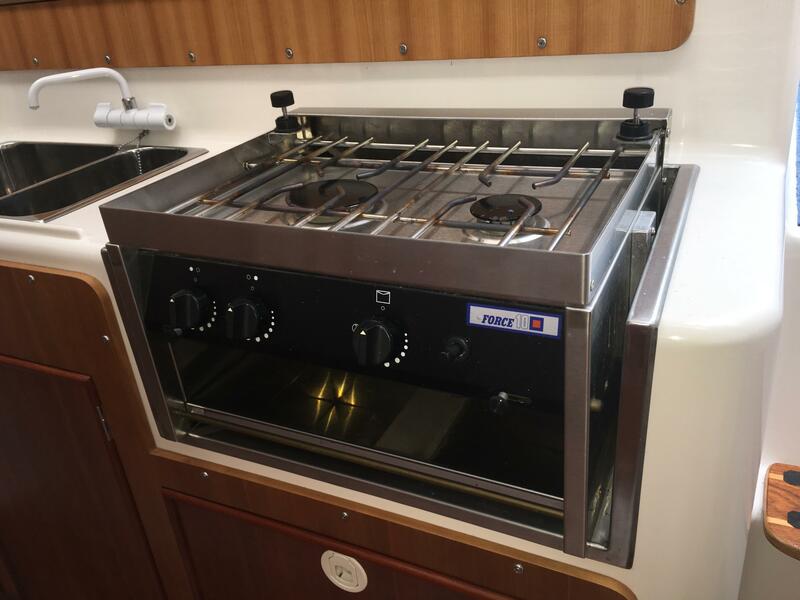 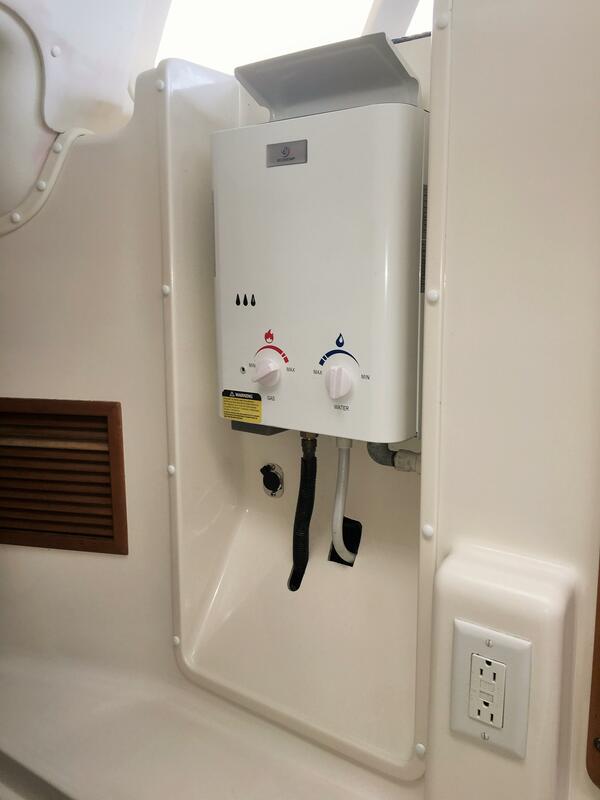 The long list of standard features on every PDQ 32 includes refrigeration, pressure water system, stove, convertible saloon table and much more. 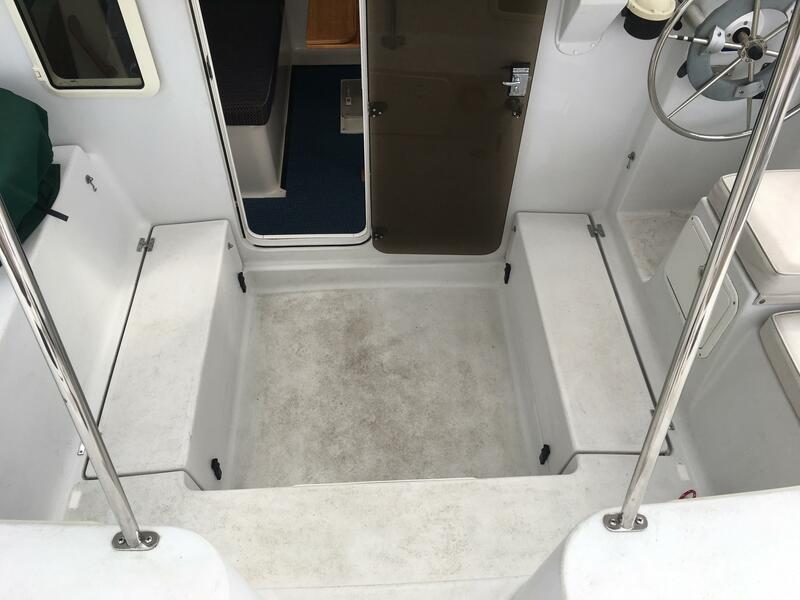 New 2017 Yamaha 9.9hp 4-stroke outboards have been customized by Yamaha for use in PDQ cats. 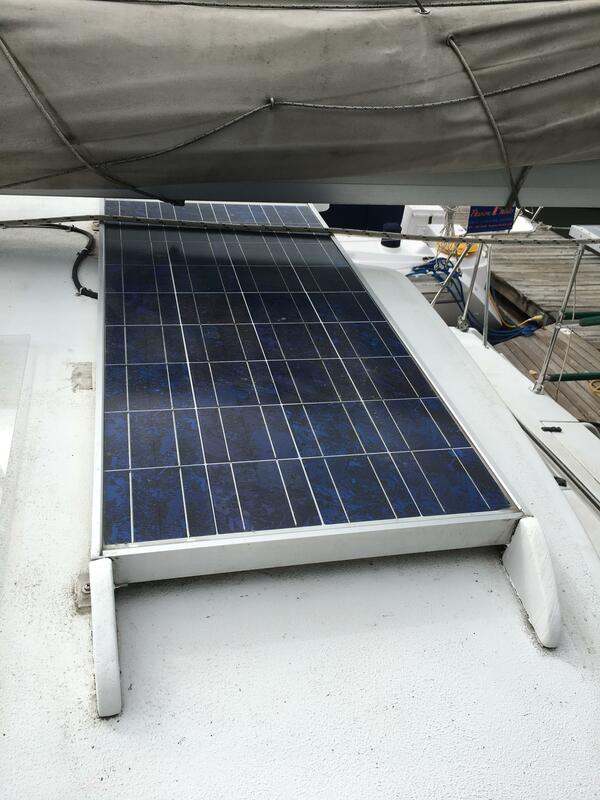 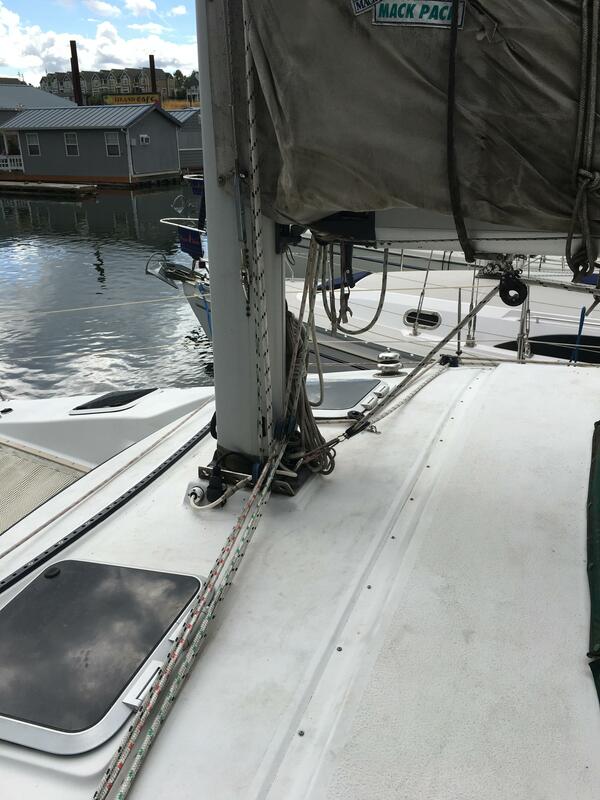 They are situated in each hull, port and starboard, and have extra long 25" shafts. 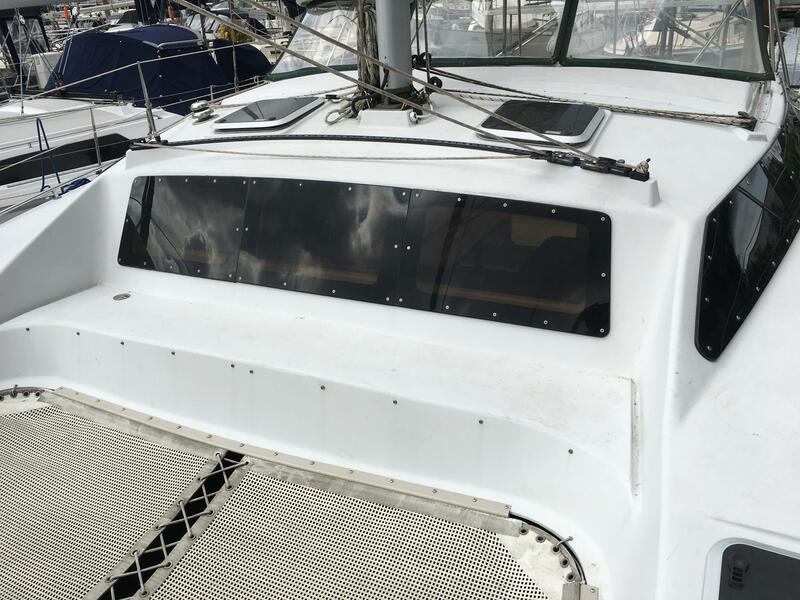 The rudders are attached to the aft end of each hull, and are therefore protected. 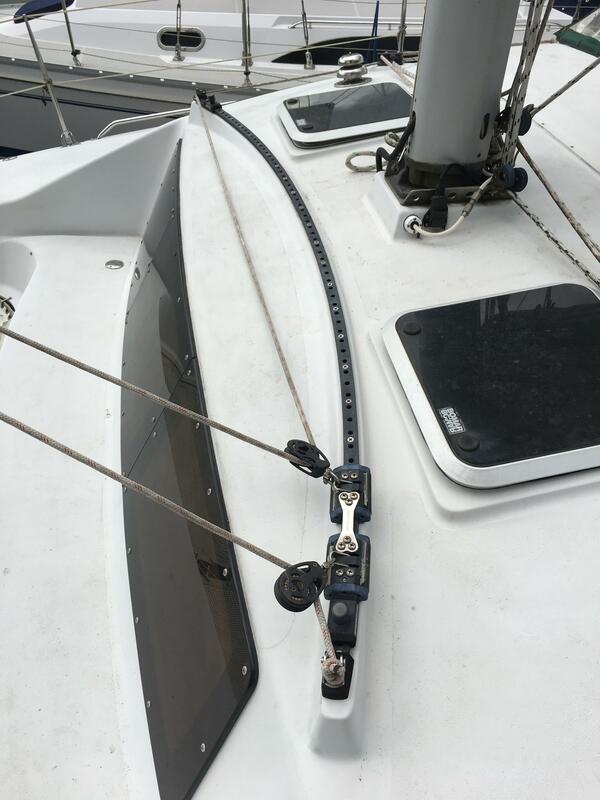 The keels are fixed, so there are no moving parts. 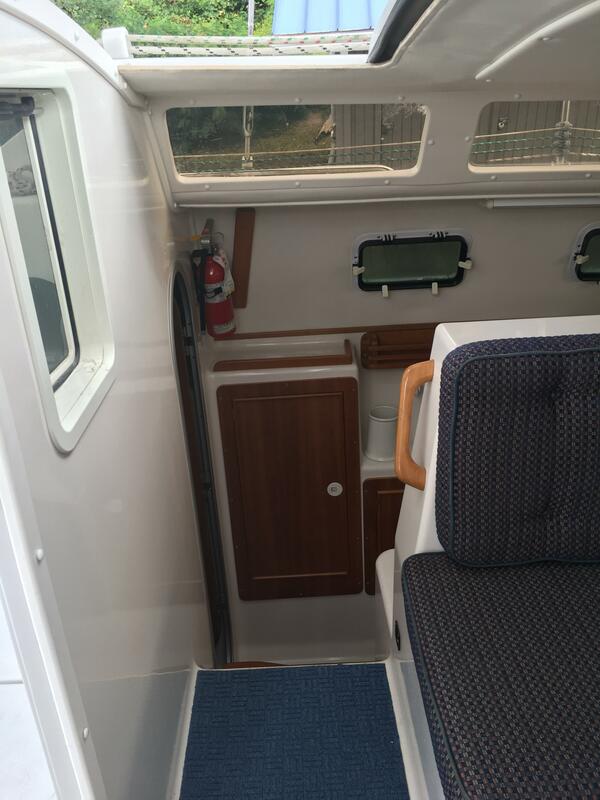 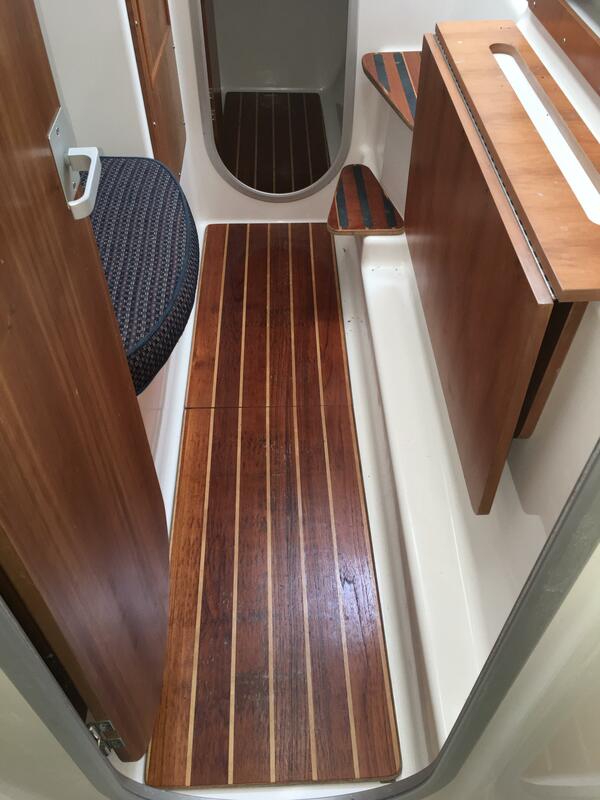 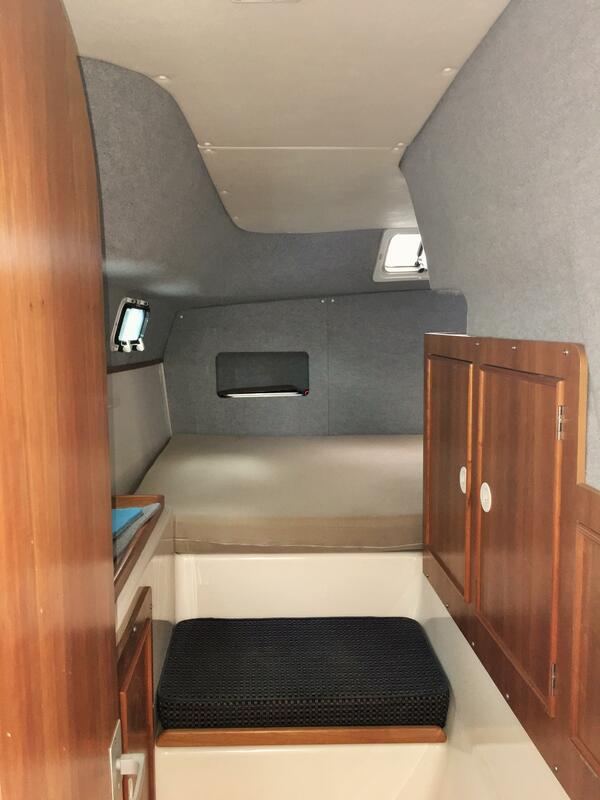 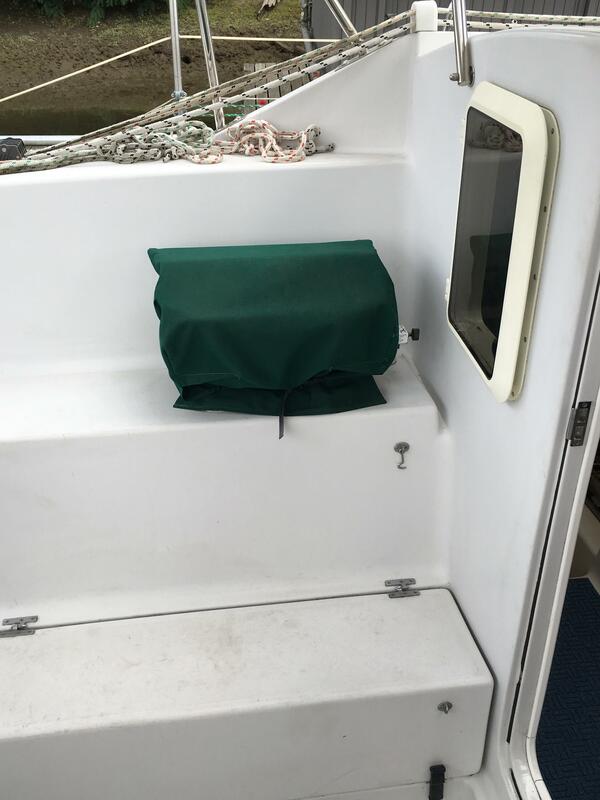 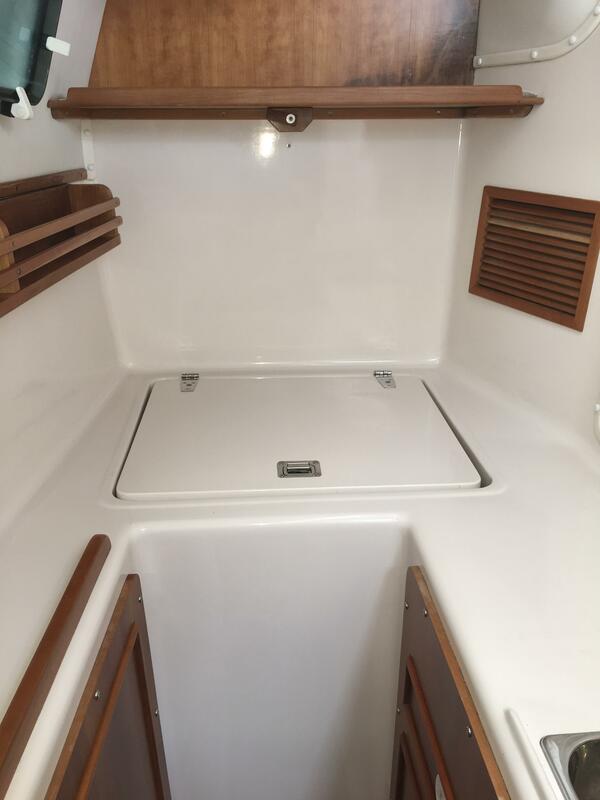 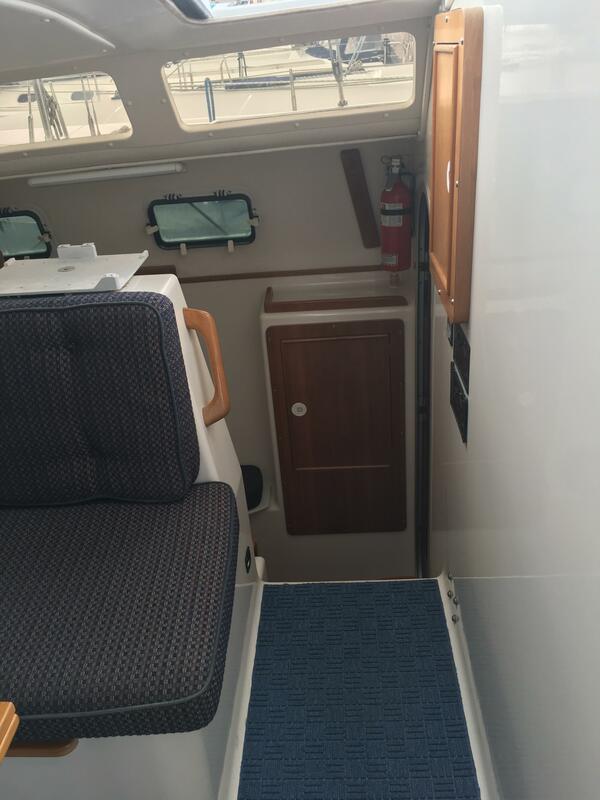 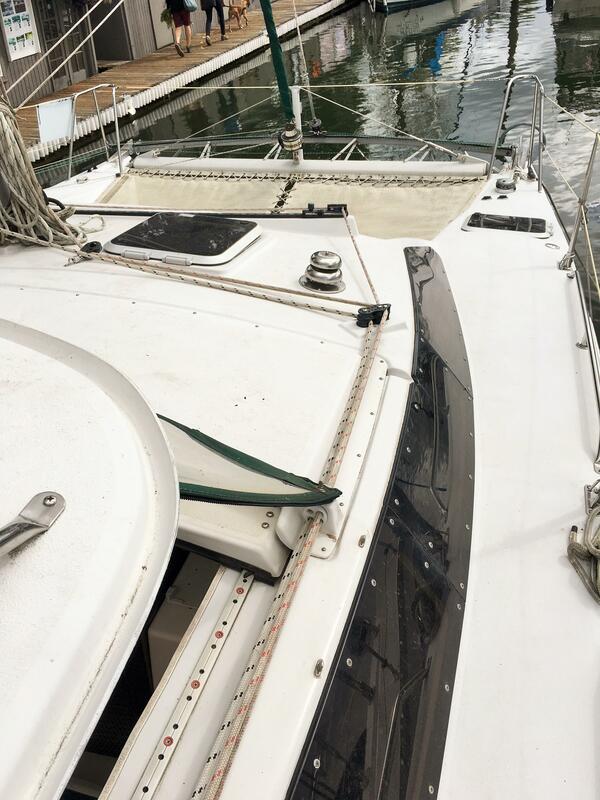 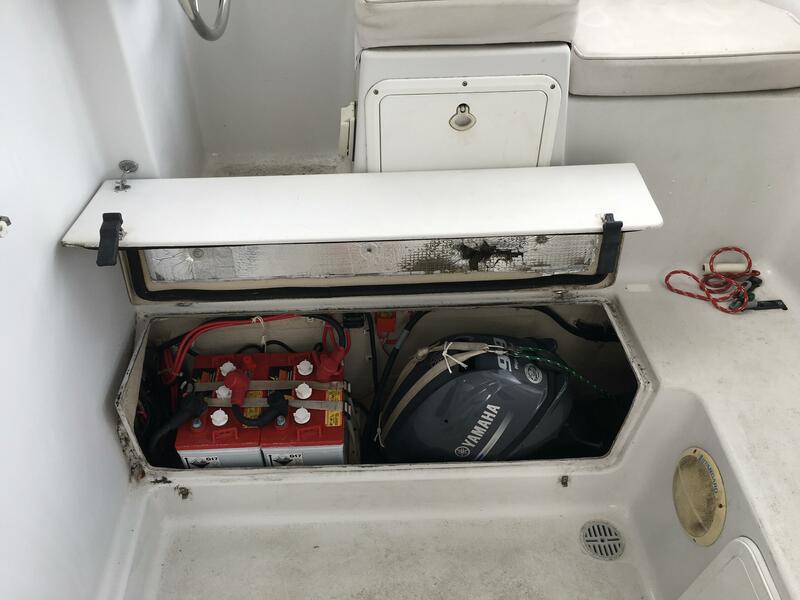 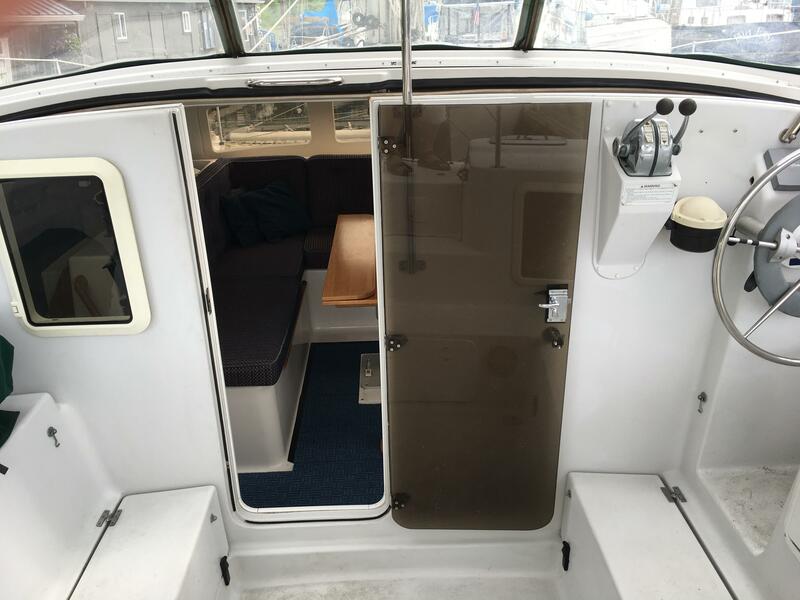 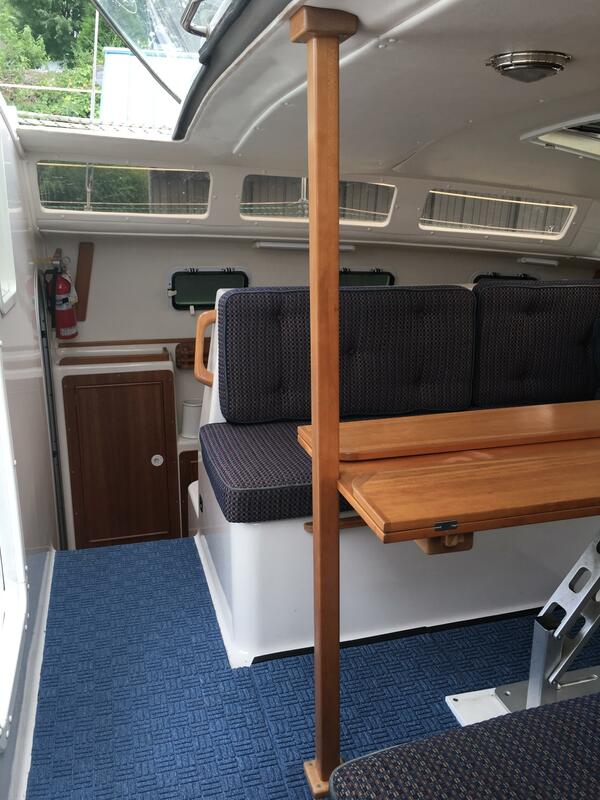 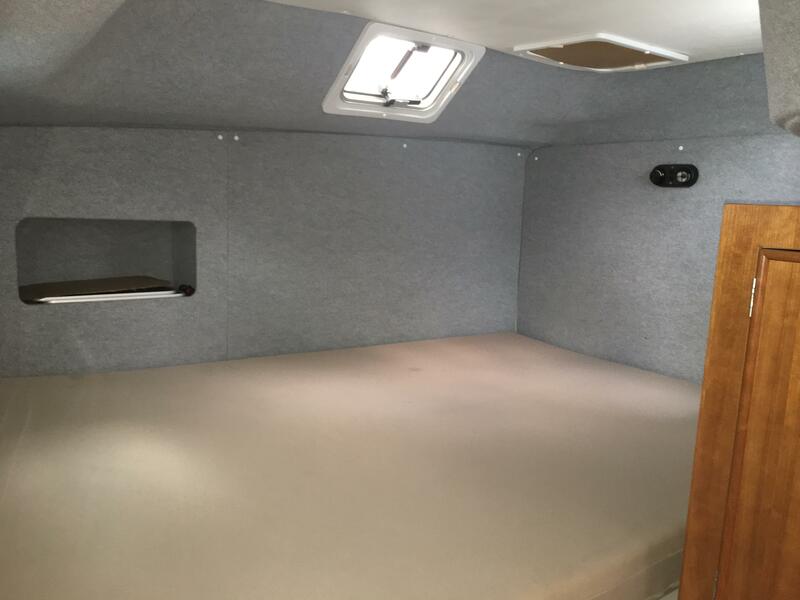 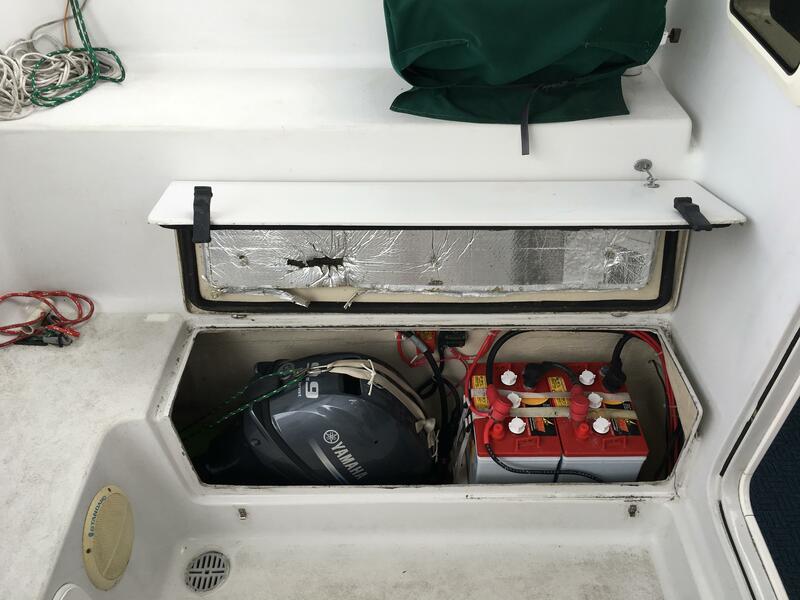 Large sliding overhead hatch opening at the companionway allows for full standing headroom in the passageway of the bridge deck, while protected from the elements by the hard dodger overhead. 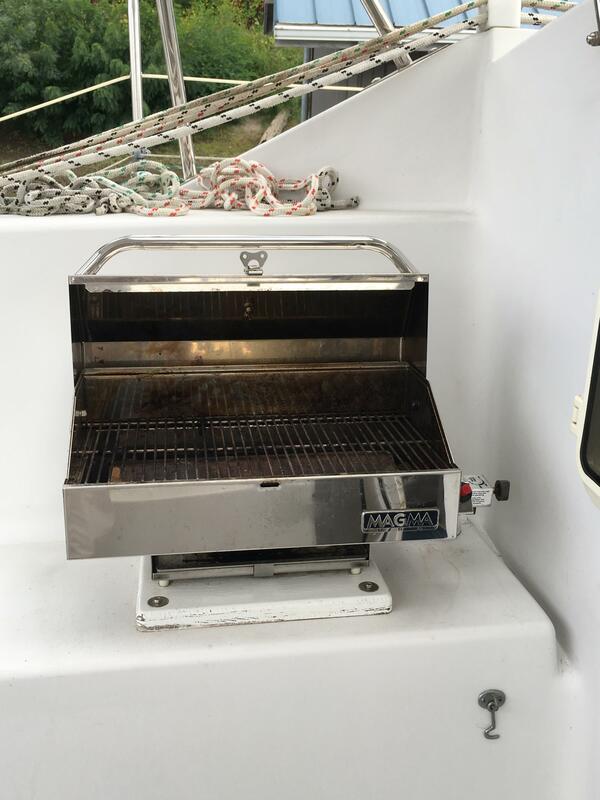 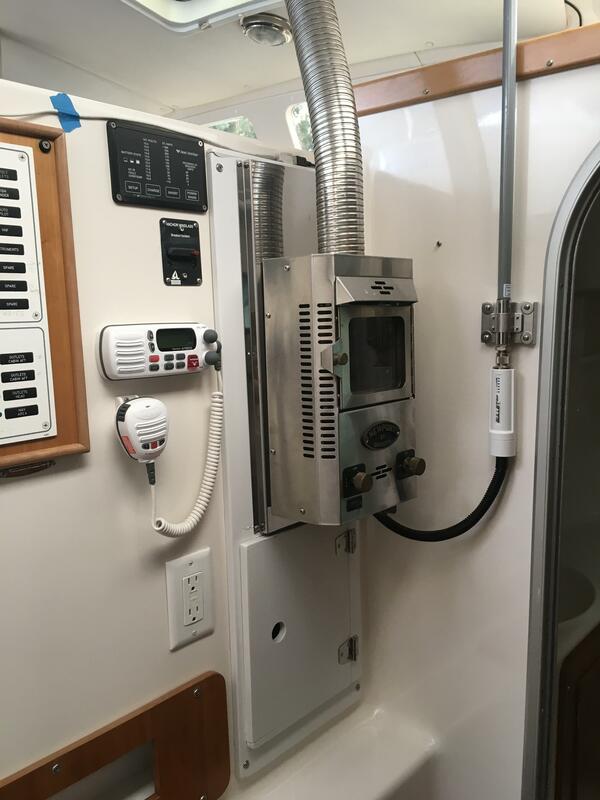 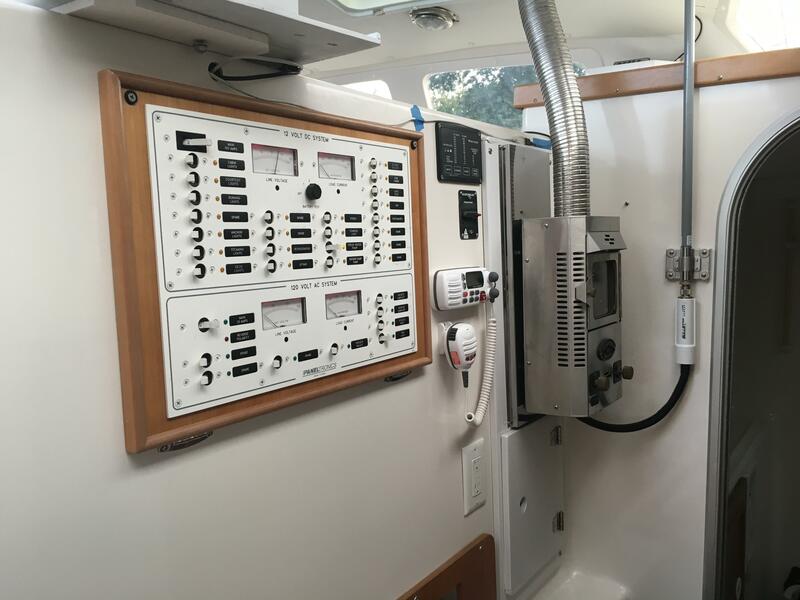 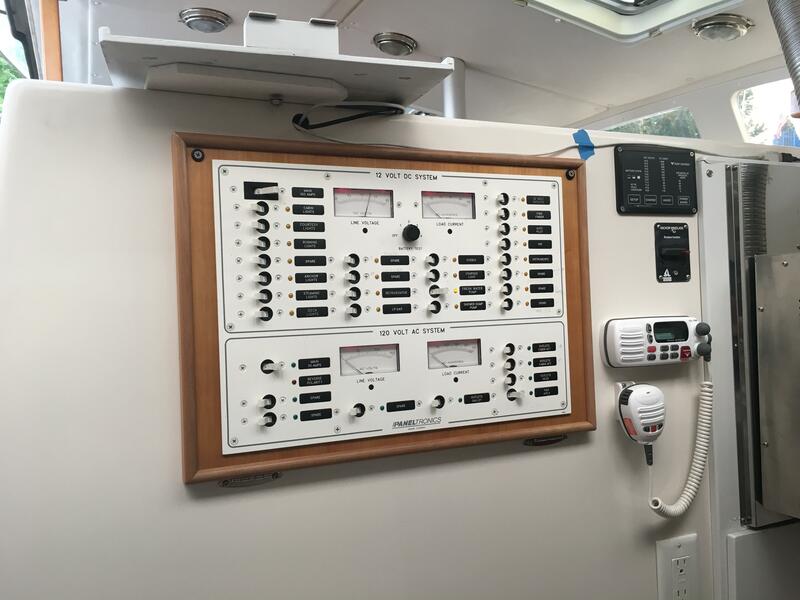 Magma Newport propane barbecue is conveniently located at the forward end of the cockpit to port, near the companionway and galley.